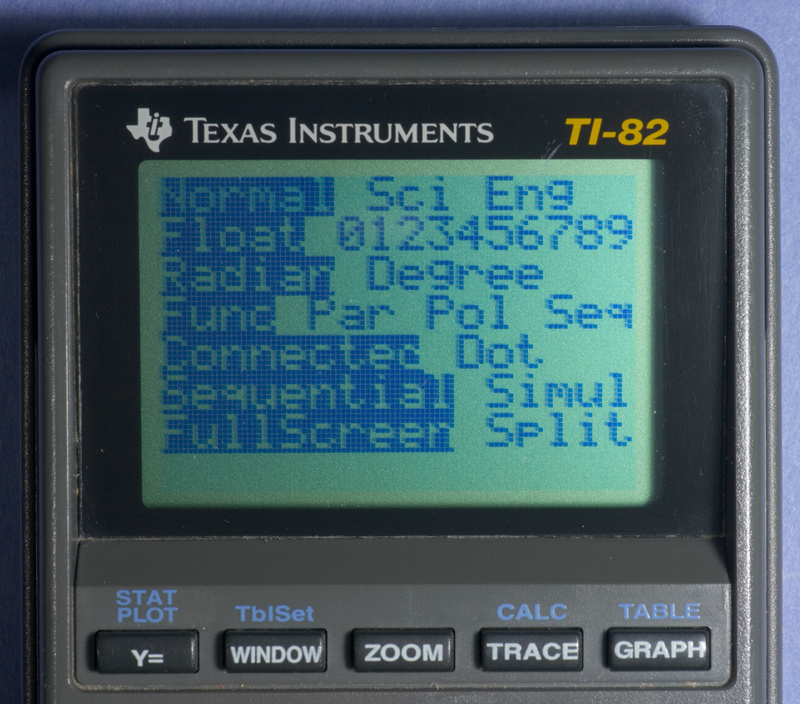 As discussed on TI-Planet, I have undertaken the task of documenting the early hardware and operating system revisions of the TI-82, collaborating with critor since its early stages and Adriweb more recently. 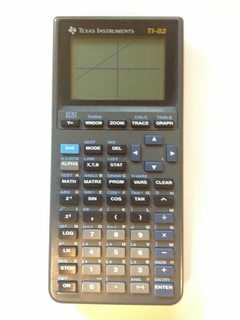 For about three weeks I purchased almost every early production TI-82 that was listed on eBay, and performed detailed documentation of their hardware and software. Through the collective efforts of myself, critor, and Adriweb, hardware versions E through I (except G, of which we lack PCB images) were documented; the existence of ROMs 4*, 8.0, and 15.0 reputably confirmed; ROM 3. discovered; and ROMs 3., 4*, 8.0, and 15.0 dumped twenty-two years after their production. 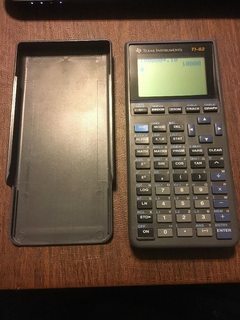 My efforts are still ongoing, but having depleted eBay of all functional and noteworthy TI-82s activity will be slowing down and focusing more on the TI-83 (whose ROM 1.0200 is the earliest found, and exists at least in HW-'A'). Note: a single letter within single quotes indicates a hardware revision, eg. I-0793F is 'F'. Datestamps are given in the format MMYY, and a leading "I-" can be ignored. Serial numbers containing "x" mean that any digit can replace the "x" and remain valid. I do not own ROM 19.006, and thus it is excluded from this analysis unless otherwise specified. I am not entirely sure if someone else has documented trends (or the lack thereof) in serial numbering, but I independently assembled my own analysis of serial numbers as observed from a database of about 130 TI-82s. 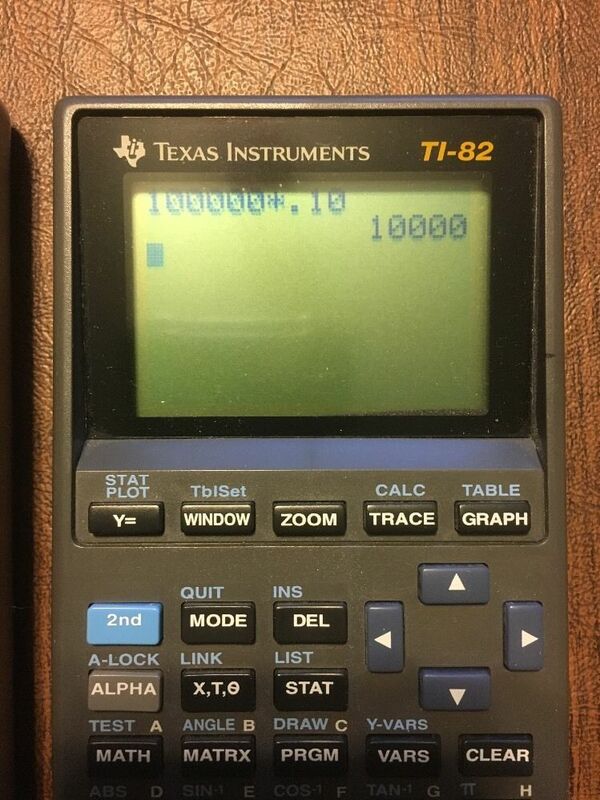 7-digit serial numbers were used since the first TI-81s in 1990. 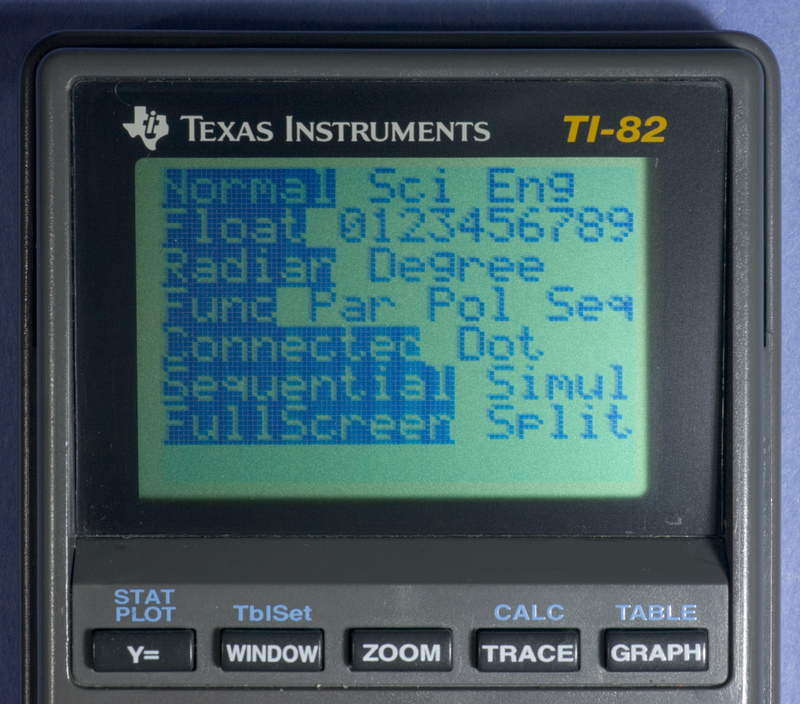 TI also used this numbering system with the early TI-82s and TI-85. In January 1994 (also seems to be the same date for the TI-85; February 1993 for the TI-81) TI switched to an 8-digit format. I do not believe TI had a method of preventing overlap of serial numbers given only five digits of a 7-digit serial number were variable for a given month of any year; I have seen TI-85s from different years with serial numbers less than 2000 apart. The first two digits of a serial number are related to the month of production. For 7-digit serial numbers, this corresponds directly with the month; for example, 0852399 I-0893K shows this correlation. 8-digit serial numbers stopped rolling the month digits over at the beginning of a new year, and began counting where 7-digit serial numbers left off. A 12xxxxx serial number with date stamp I-1293 would be followed by a 13xxxxxx serial number with datestamp I-0194. 8-digit serial numbers do not strictly follow the above pattern. While datestamp I-0494 would be expected to carry serial numbers in the 16xxxxxx range, the 17xxxxxx range is found instead. Why? This is due to a change in hardware revision during 0393; note 15xxxxxx I-0393L and 16xxxxxx I-0394M. 7-digit serial numbers do follow the expected trend of increasing hardware revision corresponds to an increasing serial number when looking at the larger scale, but there is little, if any, order on the small scale. Instead, when the database is sorted by serial number, the hardware revisions appear in this order: [05xxxxx] pre-'A', [060xxxx] 'E', pre-'A', 'H', [061xxxx] 'E', [070xxxx] 'I', 'J', [071xxxx] 'F', [073xxxx] 'J', 'K'. I will later discuss why 'F' is out of order, but the rest follow only a vague trend. 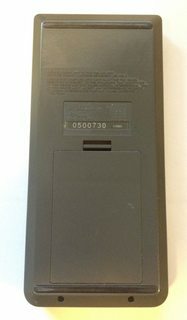 All observed TI-82s produced before 0894 except one were seen to use a silvery white ink under a clear sticker to label the serial number. The one exception, 0961729 I-0993F, uses black ink on a clear sticker, like TI-81s. The datestamp is rather late for 'F', but TI-81s did not start using their 'F' until a year later. All hardware versions from 'A' to 'H' were produced in a month. 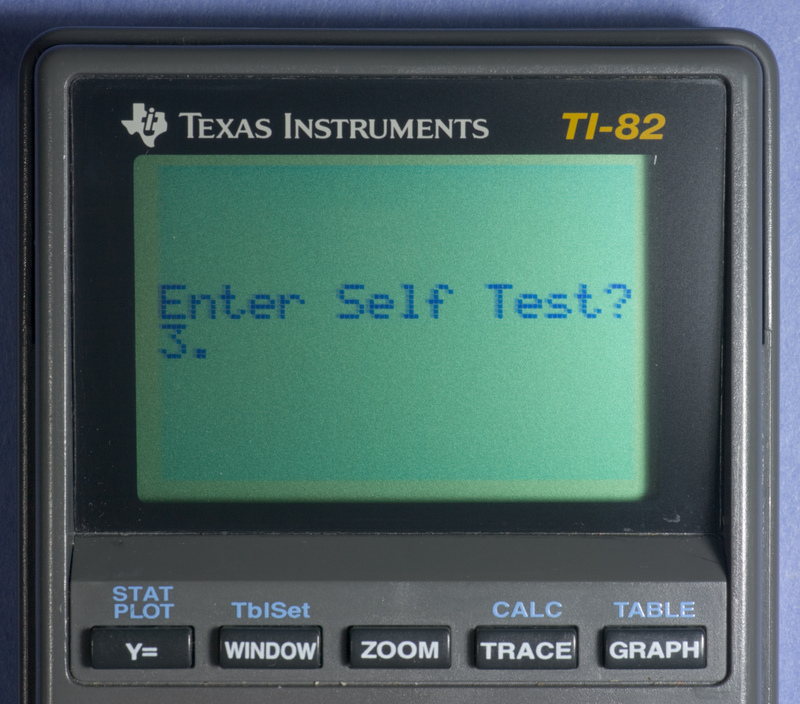 All production TI-82s up to 'H' were produced within two months. Since 'E' at the latest, there is a correlation between ROM version and hardware revision. Other hardware changes, such as the usage of a mask ROM, will cause an incrementation of hardware revision. Hardware revisions 'E' and 'F' use ROM 10.0 using OTP-ROM and mask ROM, respectively. Hardware revisions 'J' and 'K' use ROM 16.0 using OTP-ROM and mask ROM, respectively. I do not own a 'J' calculator to disassemble, so this remains unverified. 'I' indicates ROM 15.0. No evidence of ROMs 13.0 or 14.0 is known. Either 'L' or 'M' modified the display hardware to increase screen contrast. These both use ROM 16.0. The PCBs of early TI-82s show evidence of post-production modification. The components R13, R13-1, R14, R14-1, R15, R15-1, C2, C5, C6, C11, C12, and some test points near the capacitors have a different appearance to the solder joints (the test pads have solder on them) and are surrounded by solder flux of a different color than that found near other components. Strangely, all OTP-ROM TI-82s show (at least some) of these modifications, whereas mask ROM TI-82s do not show any modification signs at all. All OTP-ROM-based TI-82s observed have their ROM version written on the PCB in permanent marker. 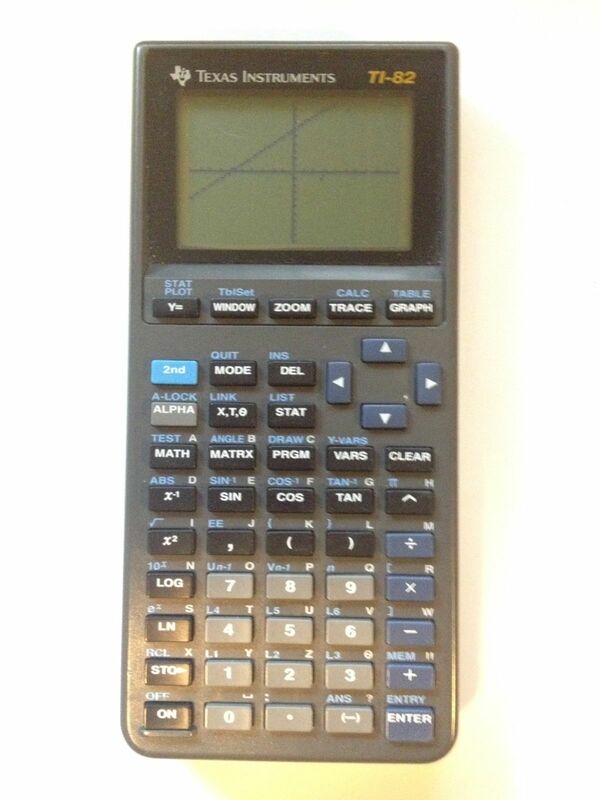 None of the mask ROM-based TI-82s show this. A differential comparison of 'H' and 'Q' shows the mainboard was changed from "9TIETMB-30A" to "9TIETMB-31". To the bottom left of the RAM chip, a 2.2 MΩ resistor R21 was added in 'Q'. The zero-ohm resistor J2 near the ASIC was replaced by an inductor in 'Q'. Additionally, between 'F' and 'H', the value of resistor R11 changed from 10 kΩ to 600 Ω (resistor values 103 and 601, resp. ; see PCB images). PCB images under both visible﻿ and ultraviolet ﻿light are available at TI-Planet. Solder flux is fluorescent under ultraviolet light, and appears a bright yellow in the UV light pictures. Production dates of labeled components can be found here. 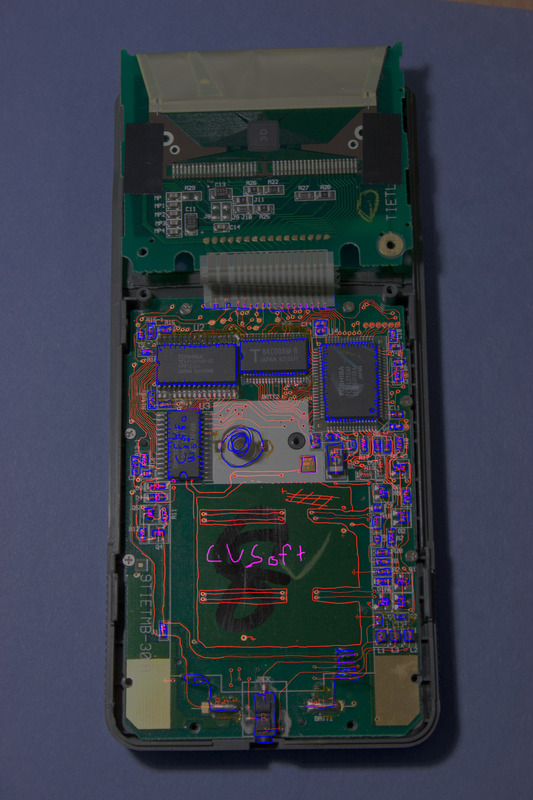 A poor tracing of the PCB on a pre-'A' TI-82 can be found here﻿. Between each ROM version, not much changed. I discovered a bug in ROM 3. and 8.0 that affects the Plot( functions; interestingly, ROM 4* corrected the bug and 8.0 reintroduced it. Attempting to set a stat plot using any of the Plot1(, etc. functions forces the plot mark to Box, regardless of the user's selection. A video of the bug in action can be found here. ROMs 16.0, 17.0, and 18.0 use ROM 15.0's table parameters. As ROM 15.0 uses the same table parameters as ROMs 16.0 through 18.0, it is compatible with assembly shells. Ash and CrASH have both been confirmed to be compatible. No version below 15.0 will successfully start any existing assembly shell. Interesting stuff! They produced all those hardware revisions in a single month? As in, a revision roughly twice every week? :-O Or did I misread that? Also, I'm curious about the LCD change you mention. 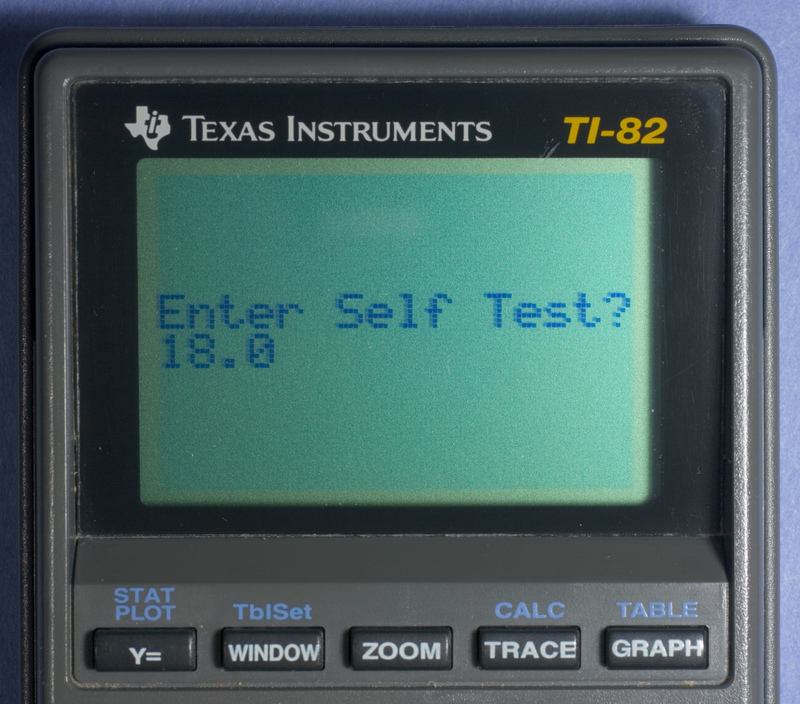 I forgot which TI-82 I have (and don't feel like looking for it), but I think it had ROM 18.0. 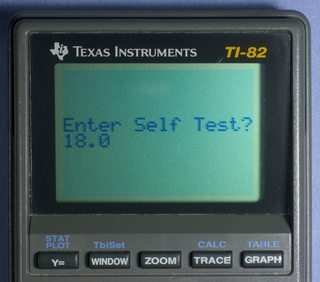 Were the older TI-82s using a display like the one on some TI-81s that had black pixels and poor contrast? Or was this earlier LCD blue/green in color like the later ones, but with somewhat less contrast? The screens themselves are identical, but the way they are driven changed somehow involving J9 and J10 on the LCD PCB. All ROM 17.0 and later TI-82s should use the better-contrast display hardware (by hardware, I refer to the entire assembled LCD board). The difference to the user is most evident on the MODE screen; I'll take some pictures when I get home. Thank you for putting this together, CVSoft! This is a lot of really cool information; I'm especially intrigued by the bodging on the early revisions. As I said on Skype, I'm very skeptical about this conclusion. It seems to me that it should be easy for [Cr]Ash to determine the OS version of the host calculator, and use the appropriate jump table to the ROM calls that it needs accordingly. The only problem I anticipate is if ASM programs that [Cr]Ash run expect the ROM calls to be at a set location. Even when adjusting for the different offsets, programs still are not working on ROM 10.0. Either the precise behavior of the ROM calls changed, or (more likely) the position within the table was moved. If ROM calls are moving all over the ROM call table, correcting ROM calls becomes even more computationally cumbersome (seeing as the magical universal shell would need to support at least five different versions of the ROM call table). It has been *years* since I looked at this, so I don't know if these tables are 100% accurate, but they're probably close. Addendum: Yes, the above tables are 100% accurate. 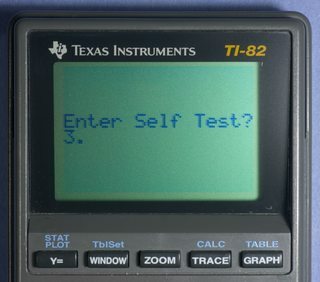 ROM 1.0 was speculated to exist as United-TI member AdamOrBud claimed to have a TI-82 with such a firmware, but despite coming so tantalizingly close to preserving its ROM, efforts to contact the user failed. 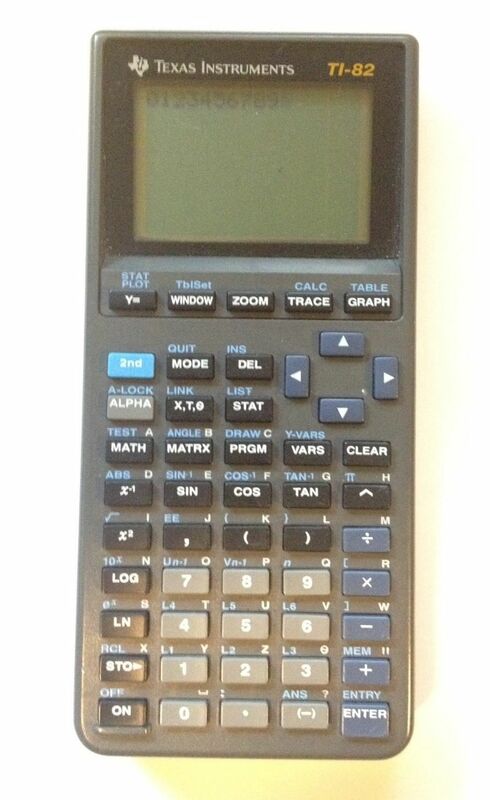 But after year and a half of searching for a TI-82 with ROM 1.0, I have finally managed to purchase such a unit. The only version that has not yet been located is 3*. Serial number 0500730 (! ); date code I-0593. I also blindly purchased a TI-82, serial 0510400 I-0593. 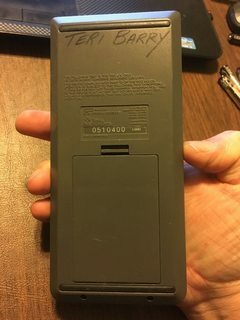 I don't know the ROM version (the seller did not reply (most do if you tell them how to check the ROM version)), but as the serial number is lower than the ROM 3. TI-82's, it should be interesting. That's awesome news that you finally got your hands on version 1.0; I can't wait to see what you discover from it when it arrives! I suspect at the very least that it'll have some amusing bugs. And good luck with what the one you purchased blind may reveal. I found a ti-82 with the serial number/datecode sticker missing. I took a shot in the dark and asked the seller to check the rom since it was the early '93 design with the gold bezel. The seller said its "6.0". I bought it and I'll see for myself when it gets here. EDIT: Big disappointment, it arrived today and its rom 16.0. On the bright side, I didn't have 16.0, but I would never have paid as much as I did for a 16.0 that doesn't even have a serial number sticker. 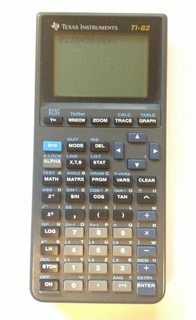 This thread is dead, but just in case CVSoft still checks it, I have a TI-82 with serial number 35002014 I-0995-R ROM version 19.0. That is a very common revision. They made revision R for about 3 years. I only breathed new life into this thread because I thought I had gotten a hold of a new early revision that wasn't previously known to exist, which would have been exceptionally relevant. © Copyright 2000-2019 Cemetech & Christopher Mitchell :: Page Execution Time: 0.088505 seconds.